In the mood for BBQ? Louisville has a variety of BBQ options, but one local restaurant you’re sure to enjoy is Momma’s Mustard Pickles & BBQ. Momma’s is a family owned establishment with two locations in Louisville (One at 119 S Hurstbourne Parkway and the other at 102 Bauer Ave near St Matthews). The restaurants are open daily from 11am to 10pm and even offer catering and take out. 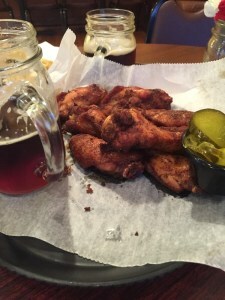 Momma’s has just about anything you could ask of a BBQ establishment with wings, juicy ribs, chili, sliders, sandwiches, and BBQ meat by the pound. Of course, there are also a couple of yummy homemade BBQ sauce options. Not only is Momma’s a fun environment and a nice local business to support, but they also are involved in charitable giving in the Louisville area. A 1% surcharge is applied to all orders which is matched by Momma’s. Proceeds from this charge go to support Louisville charities including Home of the Innocents, Special Olympics, & Dare to Care. Give Momma’s Mustard Pickles & BBQ a whirl the next time you’re craving BBQ. Call At Home In Louisville Real Estate Group at 502-371-1173 for more information about dining in and around the Louisville area or to learn about homes in Louisville. Join At Home In Louisville Real Estate Group this Sunday October 26th from 2-4pm at two beautiful Open Houses! 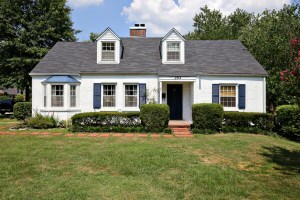 353 Chenoweth Ln is a gorgeous four Bedroom brick home in Druid Hills. You'll love the well maintained spacious interior and lovely back yard! 1915 Deerwood Ave is a captivating 3 Bedroom beauty in The Highlands! You won't believe the perfect location just a half block from shopping and dining along Bardstown Rd & sparkling interior. Call 502-371-1173 today for more information about either of these properties or attend one or both Open Houses this weekend and we'd be glad to give you a tour! We welcome you to continue to explore our website to view Louisville Homes For Sale or browe our Open House in Louisville page for a comprehensive list of all area Open Houses! Every year Meijer sponsors a spooky but friendly fundraiser for Louisville’s nonprofit zoo known to Louisvillians as “The World’s Largest Halloween Party”. 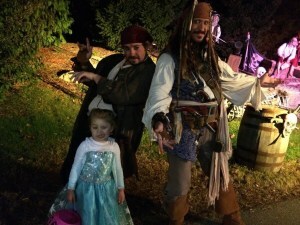 Over 60,000 people came last year to the zoo in October to trick or treat, raising $159,000. I have taken my daughter to this event for the last 3 years and have enjoyed each visit. After 33 years of hosting this event, the zoo has it down pretty well. It takes my little family about 1 to 1.5 hours to walk through the whole zoo. There are plenty of places to stop and get candy and most of those places happen between each character sighting. 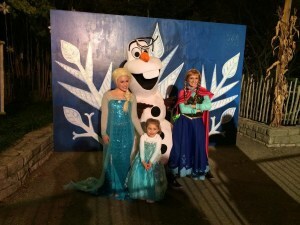 The zoo has set up a nice variety of characters that the children can visit – ranging from super heroes, popular faces such as Disney’s Frozen’s Anna & Elsa, to classic story book tales. Throughout the walk, you will have opportunities to stop at kiosks and purchase snacks such as pretzels, nachos, and soft drinks. At the halfway mark, there are tables to sit and relax as the kids find themselves in a futuristic dance scene complete with a disco ball and upbeat music. There is also a small maze created with hay bales and trees for the kids to run through while mom and dad take a break. The costumed characters are friendly and act just like the characters you know and love. It’s almost magical to the kids. I know my three year old couldn't get enough of meeting the many princesses. For the kids who like Halloween to be a little scary, they will get to meet pirates and enjoy some monster décor. 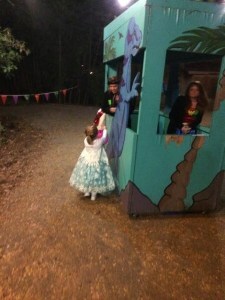 Ultimately it’s designed for kids to be able to have fun and just enjoy trick or treating with their families. This event is a must do and should definitely be added to your annual Autumn list. The World’s Largest Halloween Party is held each weekend from 5pm-8:30pm. Children under 3 are free. Discounted tickets can be purchased at Meijer stores. Some of the nights do sell out so you want to purchase tickets early. For more information about Louisville events or to discuss Louisville Real Estate call 502-371-1173. 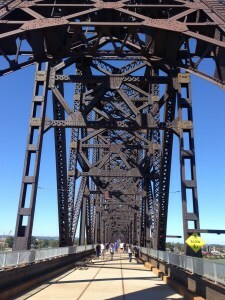 Have you taken a walk or a jog on the Big Four Bridge since it opened last year? If so, have you been back since the Indiana side was completed? While the Louisville side access to the Big Four Bridge opened in February of 2013, the Jeffersonville Indiana side was not made available to the public until May of 2014. It is now possible to walk, jog, run, or bike from Kentucky to Jeffersonville in Southern Indiana via the bridge. The bridge is open 24 hours a day with the park around it available from 6am-11pm. The total length of the bridge is about a mile including ramps on both sides and the bridge itself (the bridge itself is ½ mile long). It’s a great spot for some fresh air and exercise. Take a jacket because it is a bit windy up there and enjoy the views! Now the bridge is open on both sides it will be a wonderful business growth opportunity. Jeffersonville Indiana already has plans for additional shops and restaurants to be added to the historic downtown area where the walking bridge ends. There is hope that with the completion of the bridge we’ll begin to see more events, festivals, and entertainment in the area on both sides as well. 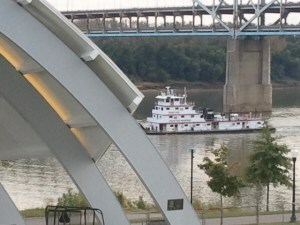 Visit the Big Four Bridge on the next sunny day for a refreshing walk and view of the Ohio River. Call At Home In Louisville Real Estate Group today at 502-371-1173 for more information about the area or to discuss your home in Louisville. Interested in spending a cozy evening & tasting some local beers this fall? 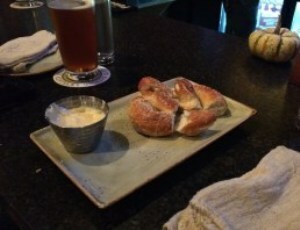 Check out the Crescent Hill Craft House! The Crescent Hill Craft House owners have made it their goal to house a wide variety of Kentucky beers for your enjoyment & appreciation. The establishment also serves bourbon, wine, & cocktails as well as a full food menu. Breakfast is served on Saturdays & Sunday mornings. Try the eggs benedict, biscuits and gravy, or the craft house pancakes. Choose from the rest of the menu the remainder of the week with tasty appetizers including hushpuppies, bruschetta, mussels, and pretzels with beer cheese. There’s also a nice selection of soups, salads, sandwiches, and entrees. The showstopper is, of course, the selection of over 40 beer varieties. You’ll love the southern atmosphere & extensive beer & bourbon menu at this local establishment. Support local business and stop by the Crescent Hill Craft House, 2636 Frankfort Avenue, Louisville KY 40206 sometime this season! You’ll be glad you did! For more information about Louisville businesses, or to discuss Louisville Real Estate, contact At Home In Louisville Real Estate Group today at 502-371-1173. Have you had a chance to carve a pumpkin yet this Fall? The Louisville area has some great “pick your own” locations. It’s always nice to enjoy a fall afternoon with a hayride, a glass of apple cider, and a pumpkin patch! 1) Huber’s Orchard Winery & Vineyards in Starlight Indiana. Many Louisville locals enjoy visiting Hubers this time of year. Take a tractor ride out to the patch and find the perfect one! The farmer’s shop at Hubers sells a wide variety of home grown vegetables, fruits, baked goods, and jellies. You’ll also find some crafty seasonal décor. There a restaurant on the property that serves the delicious fresh food as well as a winery that offers tastings for adults! Along with pumpkin picking, Hubers has Christmas trees in the winter months as well as fruit & vegetable picking the remainder of the year. If you haven’t been before, it is definitely worth the trip! (30 minutes from downtown & approximately 45 minutes from Louisville’s East End). Deere Farms is another great Southern Indiana option. 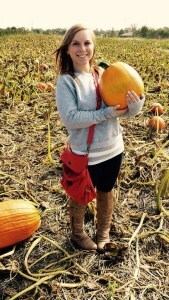 The property has over twenty acres of pumpkin patches and provides a shuttle ride to the field. You can also let the kids run through the corn maze or take a family hay ride. There is a gift shop with seasonal décor and fall concessions sold including apple cider slushes, pumpkin caramel cheesecake, pork chops, hamburgers, brats, and more! Deere Farms also has pony rides, animal interaction, a bounce house, and a barrel train ride. (30 minutes from downtown & approximately 45 minutes from Louisville’s East End). 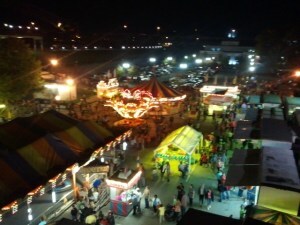 Gallrein Farms is located in Shelbyville, KY and offers fun for the whole family this time of year. Take a hayride out to the pumpkin patch. Other fall festivities include pony rides, face painting, barrel train, corn maze & petting zoo. (45 minutes from downtown & approximately 30 minutes from Louisville’s East End). Support our local farmers if you’re able and check out one of these fun farm experiences this fall! Call 502-371-1173 to learn more about homes in Louisville or Louisville area events. If you’ve never attended the Louisville Jack O Lantern Spectacular you are missing out! 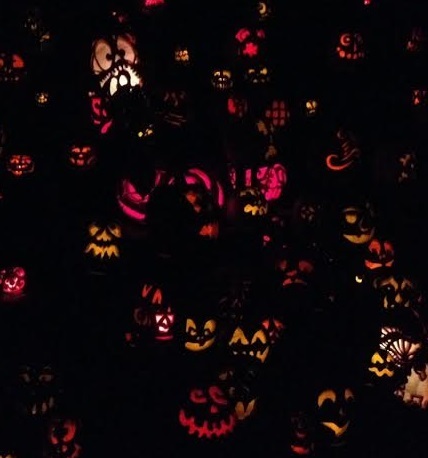 This fantastic nightly art show of carved pumpkins is up and running again and will be operating in Louisville until November 2nd in Iroquois Park. Visit Iroquois Park at 5216 New Cut Rd, Louisville, KY 40214 between dusk (approximately 7pm) and 11pm Monday-Thursday (12 midnight on Fridays and Saturdays) to view a stunning display of over 5,000 illuminated jack-o-lanterns! Take the family and enjoy the quarter mile walking trail while observing the intricate designs and themed areas set to music. Tickets can be purchased at the gate, via phone, or online and prices run between $12-15 dollars for adults, $10-13 for seniors, and $9-12 for children ages 3-12 depending on the date. Proceeds from the event go to support Louisville Metro Parks Foundation. Get into the spirit of the season and view some amazing art! For more information about this event visit Jack O Lantern Louisville . Call 502-371-1173 to speak to one of our team members about Louisville area events and homes in Louisville! At Home In Louisville will be hosting an Open House in The Highlands this Sunday! 1915 Deerwood Ave is positioned just a half block from Bardstown Rd. You'll love the spacious interior full of character and fenced exterior.Call 502-371-1173 today for more information about this home or click the photo below for full property details and additional photos. Looking for another fun fall activity to enjoy this weekend in the Louisville area? Don’t miss the second weekend of Harvest Homecoming in New Albany, Indiana (October 4th-12th). Harvest Homecoming has been growing in Southern Indiana for 44 years and offers a variety of seasonal festivities for all ages and walks of life. The Harvest Homecoming MainSource Stage will present entertainment including local bands, vocalists, dance groups, and several concerts (J.D. Shelburne, From Paris, Rachel Timberlake, and Jake & Elwood). Our own Client Services Manager, Shaunta Hamby will perform with The Studio Belly Dance & More on Thursday evening 10/9 at 6pm! Visit Harvest Homecoming in New Albany to support her dance! Craft & Food Booths will be open from 12 noon-9pm on Thursday , 9am-10pm on Friday & Saturday, and 12 noon-5pm on Sunday. There will be sporting and recreational events including a Bingo game, a Pumpkin Chunking Competition, Helicopter rides, Corn Hole tournament, and Harvest Hold ‘em. There will be a pumpkin decorating contest, baking contest, and home decorating contest. Take the kids along to participate in the costume contest, kids tractor pull, kids dog show, big wheel race, fiesta rides, party tent, & more! Visit the website link above for a list of frequently asked questions, event entry forms, and detailed festival map & event break down. Call At Home In Louisville Real Estate Group today 502-371-11723 for further information or to discuss Louisville real estate. 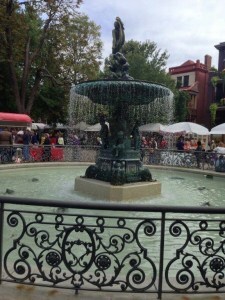 October is here and with it the annual St James Court Art show! The show will take place this year on October 3rd, 4th, & 5th from 10-6pm on Friday and Saturday & from 10-5pm on Sunday. 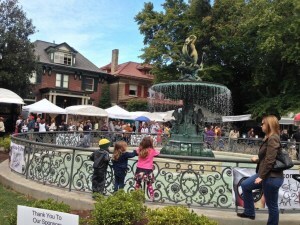 The St James Court Art Show is a fall highlight for many Louisville locals and showcases a highly sought after historical Louisville neighborhood in St James Court. The atmosphere is contagious with cool autumn breezes, sunlit trees, delicious food vendors, and approximately 750 artists from across the country displaying and selling their amazing works of art. The show began in 1957 and has been a growing annual event ever since. If you’re looking for an enjoyable way to kick start Fall, stop by the show and enjoy coffee from Heine Bros, desserts from Sweet Shoppe Fudge, or try out Graeters Ice Cream. For those with savory tastes, you’ll love Bill Durham’s Roasted Corn & Baked Potatoes. The show will also offer Anheuser Busch, Goose Island, and Accolade Wine products. Take a look at gorgeous art available in every medium and every price range. Whether you prefer sculpture, tile work, jewelry, metal, leather, clay, fiber, paper, glass, photography, or home made crafts, the St James Ct Art show has it all! Have a wonderful weekend and be sure to check out the art show this year! If you'd like more ideas about how to enjoy Fall in Louisville, Louisville events, Louisville neighborhoods, or homes in Louisville, call us today at 502-371-1173. Riad Otoum with Keller Williams is a great agent and did an amazing job selling our home!! The entire At Home In Louisville team helped to guide us through the listing and selling of our home. Keller Williams is a great company to work with because of their knowledge and expertise in the real estate market. At Home In Louisville provided a team member to help us stage our home with the furniture we already had. Riad went over the contracts and advised us on the listing price and how to respond to the submitted offers. The entire process went very smooth and we highly recommend using Riad Otoum and the entire At Home In Louisville Real Estate Group!